Well, hi there. Nice to see ya. 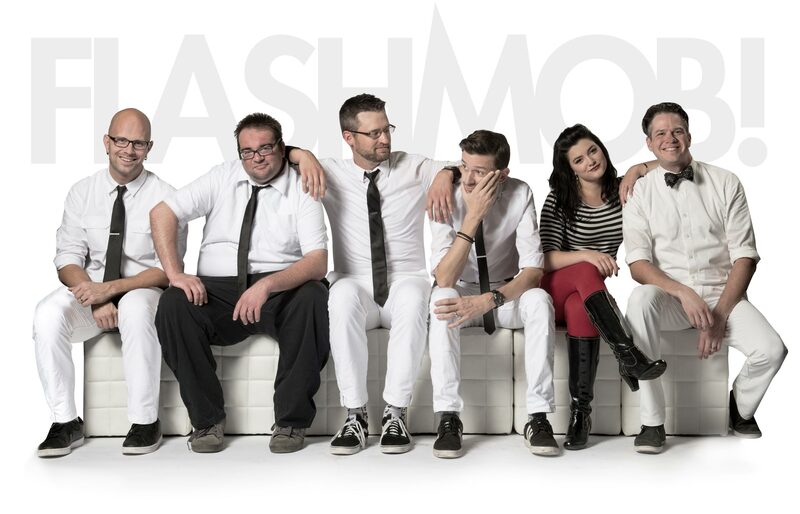 We’re FlashMob!, a pop+dance+rock cover band from Minneapolis, MN. You should hire us for your event, because, well, we’re awesome. Curious to know more? Well, look around. We have band bios, photos, video, our evolving song list, tour dates and more. Then contact us to play YOUR event. If it’s a venue in the midwest, we’ve probably played it. Clubs, bars, weddings, festivals, corporate events, casinos and more. We’ve covered Minnesota, Wisconsin, Iowa, Nebraska, North Dakota, Michigan, Florida… hell, even Canada. We’ve done shows for the Twins, the Vikings, and the NCHC Frozen Faceoff. Check the calendar for upcoming dates near you.